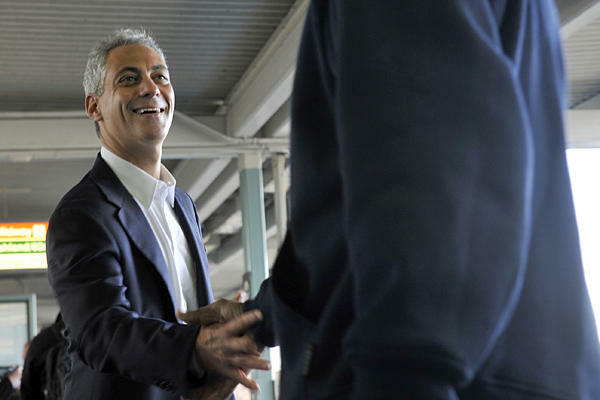 Rahm Emanuel was born in Chicago. He was raised in Chicago. He got married in Chicago. His home is on the North Side of Chicago. His synagogue is in Chicago. He votes in Chicago. He pays taxes in Chicago. He served six years as a U.S. Congressman representing Chicago's 5th District. When two U.S. presidents came calling, Emanuel left Chicago temporarily to serve his country, with Bill Clinton from 1993-1998 and Barack Obama 2009/10. And when he left his most recent post as White House Chief of Staff in October to make a run for Mayor of his beloved city, a Cook County court and the Chicago Board of Elections both ruled that he was indeed a Chicago resident. But an Illinois Appellate Court on Monday ruled differently and ordered his name be taken off the ballot for the February 22nd election. Illinois state code requires that mayoral candidates reside for at least one full year prior to the election in the city they seek to lead. The court states that the law requires physical presence and claims that Emanuel's White House service requires no special attention. Emanuel's camp is arguing that his "intent" was to always live again in Chicago after his Washington stint was over, and that serving Obama should qualify as national service and be exempted as an exclusion. He's appealing the case in Illinois Supreme Court. When and if the court hears the case is unknown. The clock is ticking for Emanuel. Ballots may be printed as early as today. The court's ruling is not rooted in anything partisan. The judges who made the decision ran as Democrats. No, it's not about politics. It's about stupidity. Their decision is just plain wrong and un-American. This is a very serious issue not just for Chicagoans who, according to the latest polls, overwhelming support Emanuel's candidacy, but for the entire country. How is it possible that someone as patriotic as Emanuel, who selflessly heeded the call of duty, who faithfully and tirelessly served his country and two presidents, is punished for his service? To be sure, Emanuel knew the rules, and that there'd be possible questions as to his residency. He knew going to Washington was a risk to his future political aspirations in his hometown. But he went anyway. Should he have said no to Obama? "Sorry Barack, old buddy, but I want to be Mayor someday and this could really screw things up for me!" He didn't do that. He took the job. He served his country. And now the Appellate Court says "thanks" by holding up his candidacy on a completely irresponsible and irrational technicality, and one that may not even be legal. What does this say to others who are asked to leave the comfort, security and spoils of hometown politics to serve their country and president? How does this ruling help bring brilliant, highly ambitious, dedicated, patriotic citizens to serve D.C. in the future? It doesn't. And that's a damn shame. Just a month into their new majority in the House, the GOP's uber-manic focus is exclusively on health care. Republicans rushed to vote for repeal earlier this week and Speaker John Boehner (OH) has directed his members to come up with alternatives that include strict new limitations on abortion coverage. While Boehner & Company promised America a laser-like focus on the still-sputtering economy and its 9.4% unemployment rate, all they're offering is the same tired, self-serving right-wing agenda. They simply can't help themselves. To be sure, what the GOP is really obsessing over is Obama himself, and a rapacious hunger to undermine him and the Democratic agenda anywhere and everywhere possible. "We're going to do everything — and I mean everything we can do — to kill it, stop it, slow it down, whatever we can," Boehner said just before the election, which ushered in a Republican House majority and gave him its highest post. Senate Minority Leader Mitch McConnell (KY) at the same time said, "The single most important thing we want to achieve is for President Obama to be a one-term president." 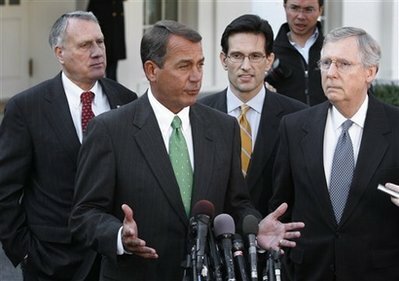 Do Boehner and McConnell think this is the kind of call-to-action that voters bought from them on November 2nd? Where are their economic proposals? Where are the jobs creation bills? 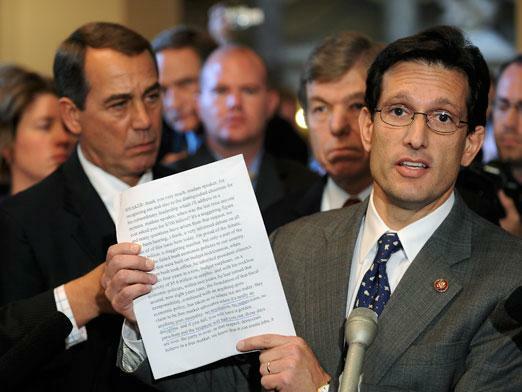 What's the GOP's plan for sustainable GDP growth? The Republican leadership is filled with such partisan vitriol, and is so rabid in its desire to undermine Obama, that it's ignoring its own campaign rhetoric and failing to deliver on its #1 promise. As such, it's undermining itself in the process, as evidence by a slew of recent polls showing that voters are fast losing confidence in the GOP's ability to do anything other than obstruct Obama. Almost a week after the release of her disastrous Tucson shooting video, Sarah Palin stepped off her usual Twitter and Facebook platform and into the relative comfort of Sean Hannity's softball field. On the Fox News host's Sunday night "Hannity" program, the Wasilla Wonder returned to the public stage to once again deny any culpability whatsoever regarding the toxic political discourse in America today and, more so, how her behavior on the video was justified and appropriate. In the video, which history will remember as her "I am not a witch" moment, she continued to blame the media for her public relations woes and in a very over-simplified way tried to excuse the "blood libel" reference she made. She was stilted and calculated, and extremely defiant as she vociferously defended her timing of the video, her choice of words, and her ability to denounce who or whatever she opposes. "I will continue to speak out," a clearly agitated Palin said. "They're not going to shut me up. They're not going to shut you up (Hannity), or Rush or Mark Levin or Tea Party Patriots." When Hannity asked her to explain her timing of the video's release the same day as the Tucson memorial, and then the use of "blood libel," she came across as a flip 15-year-old who obviously memorized the answer to impress us with her knowledge of the subject matter. It was contrived and insincere. "I don't know how the heck they would know whether I did or didn't know' the term blood libel, nobody's ever asked me. Blood libel obviously means being falsely accused of having blood on your hands. In this case that's exactly what was going on. And yes, the historical knowledge that people have of the term blood libel goes back to the Jews who were falsely accused back in the medieval European times of using the blood of children and...ya know...(snickers)...The criticism of even the timing of this statement is being used as another diversion." She then fell into some lame spin about liberals wanting to sidetrack voters from Congress not doing its job to combat the "trifecta" of growing debt, the "looming energy crisis" and weak national security policies. Talk about diversion. 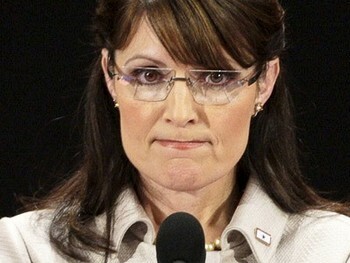 Palin also remains highly delusional about her prospects for 2012. "I am not ready to make an announcement about what my political future's going to be, but I'll tell ya Sean, I'm not gonna sit down, I'm not gonna shut up. I'm going to hopefully be able to help empower others who believe that, one of the things that makes America so exceptional is our right to free speech. Is our right to vigorously yet respectfully debate ideas and intentions in this country. I'm gonna continue down that path, and if that leads to being a candidate for a high office then I will announce that at the appropriate time. But for now, ya know, I want to join others who are saying, no, peaceful dissent and discussion about ideas, that is it what makes America exceptional and we won't allow that to be stifled by a tragic event that happened in Arizona...one that we should all..er... gather around if you will to condemn violence but not to stifle debate in America." Only Sarah Palin could consider calling Obama a terrorist and targeting Gabrielle Giffords with rifle cross hairs "respectful" debate. She thrives on confrontation and conflict, and then plays the victim card when she's excoriated over it. But if she really believed what she said she'd come out from her social networking web rock, leapfrog over the friendly Fox News, and start talking to the mainstream media, of whom she's clearly terrified. To be sure, after her self-imploding video performance, Palin has about as much chance of running for president, or winning, as I do. In fact, I'd say my chances are better. The takeaway from President Obama's brilliant, poignant speech at Wednesday night's memorial at the University of Arizona in Tuscon was, "We may not be able to stop all evil in the world, but I know that how we treat one another is entirely up to us," The tone of his message, his raw emotion, the compassion for the victims and their families, and the genuine concern he showed for the nation exemplified great leadership, and was in stark contrast to the bizarre, self-serving video that his potential 2012 opponent, Sarah Palin, released earlier in the day. "At a time when our discourse has become so sharply polarized - at a time when we are far too eager to lay the blame for all that ails the world at the feet of those who think differently than we do - it's important for us to pause for a moment and make sure that we are talking with each other in a way that heals, not a way that wounds," the president said. 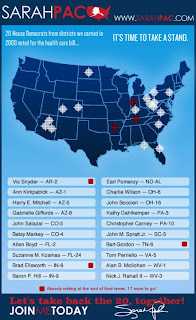 To be sure, the 2012 presidential election will indeed be about healing. There'll be much focus on how Obama united the nation in the aftermath of Jared Loughner's murderous rampage, and how Palin's true character prevented her from doing the same. It it is precisely this sanctimonious, defiant and soulless video sermon that history will one day point to as the end of her legitimate political career. Palin was right about one thing: it's unfair and inaccurate to blame her toxic political rhetoric for the Tuscon shooting. But this week she quite foolishly and voluntarily gave us something we can 100% blame her for. Her behavior, tone and overall message in the video was beyond comprehension. Not only does it demonstrate a pathological narcissism, but a supreme ignorance of history (the unfortunate "Blood Libel" reference); a shocking lack of empathy, sensitivity and compassion; a reprehensible use of the words "blood," "pistols" and "shooting" to accent her points; and outrageously offensive timing in terms of releasing it on the same day as the memorial. One has to ask, just what on Earth was she thinking? Did she really expect this 8-minute diatribe to show humility and repair her image? To help heal a shocked and grieving nation? 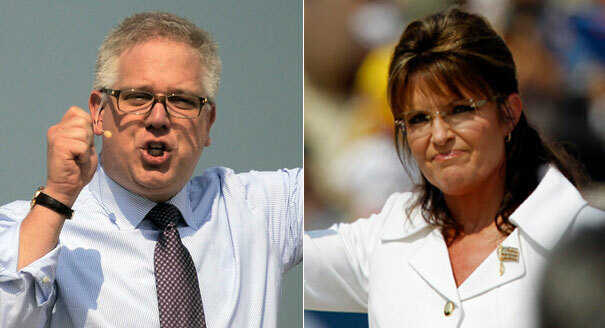 Over the past three years, many have suggested that Palin's odd behavior and statements constitutes a train wreck. But in a train wreck there first needs to be the actual crash. To date, despite moments of near-derailment, Palin's stayed on track. But with this video she has finally crashed, and crashed for good. She cannot and will not recover from this politically. Oh sure, she will continue to be a national hero to the ravenous, ignorant right-wing fringe crazies who account for a minuscule percentage of the Republican Party, but on a serious national level, as a presidential candidate, she just imploded. "Like many, I've spent the past few days reflecting on what happened and praying for guidance. After this shocking tragedy, I listened at first puzzled, then with concern, and now with sadness, to the irresponsible statements from people attempting to apportion blame for this terrible event...Acts of monstrous criminality stand on their own. They begin and end with the criminals who commit them.....If you don't like a person's vision for the country, you're free to debate that vision. If you don't like their ideas, you're free to propose better ideas.... But especially within hours of a tragedy unfolding, journalists and pundits should not manufacture a blood libel that serves only to incite the very hatred and violence that they purport to condemn. That is reprehensible....No one should be deterred from speaking up and speaking out in peaceful dissent. And we certainly must not be deterred by those who embrace evil and call it good." Does Palin really think she's contributed to a political discourse based on "peaceful dissent?" Is she so arrogant and/or in denial of her own "irresponsible statements" and actions? Does she not truly understand that what is "reprehensible" is to call for "reloading" and to use rifle cross hairs over an opponent's name and then with righteous indignation scoff at the widespread criticism after that individual, and nineteen others, are shot in an assassination attempt? Is she so clueless as to not see any connection, and any responsibility therefore, however indirect, to her words and actions? Even in this video she resorts to using the centuries-old highly anti-Semitic phrase "blood libel", which is a false accusation that Jews murder Christian children to use their blood as part of various religious rituals and holidays. One has to seriously question Palin's overall judgment, and note her obvious inability to understand the raw insensitivity of her own words. To be sure, Jared Loughner did not go that parking lot Saturday with Palin's inflammatory rhetoric as his driver. He very likely never heard any of her speeches or seen her website. So to blame her directly is nothing more than partisan vitriol, no matter how much some may dislike her or condemn those words and actions. Yes, she and others like Glenn Beck, Michelle Bachmann, Sean Hannity and Rush Limbaugh indeed contribute to the toxicity that consumes Washington politics these days, and that situation is no doubt worsening. But there is a much bigger issue here, and one which Palin is guilty of. While a shocked nation mourns the loss of so many vibrant people, including a 9-year-old girl, and while it attempts to debate and reconcile why it happened and what measures can be taken to prevent a recurrence, Palin continues to feed the toxic beast. She squandered a major opportunity to not just repair her own image but to help heal a nation. In this video statement, what would it have cost her (and to the contrary she'd likely have much to gain) to say something conciliatory and uniting like she recognizes that words and actions may sometimes be deemed offensive and irresponsible to some people and that now, especially in the wake of the Tuscon shooting, she understands the need for everyone, including herself, to demonstrate greater sensitivity and be much more judicious in choosing the words and images to punctuate political points? Wouldn't this have been a more thoughtful and prudent strategy? Would people not be rallying behind her instead of continuing to criticize her? Kudos to MSNBC's Joe Scarborough. On Tuesday's "Morning Joe" broadcast, the co-host pulled no punches in pointing a finger at conservatives in both politics and the media over the toxic rhetoric that many believe to be partly responsible for Saturday's tragic shooting at a Tuscon, AZ Walgreen's parking lot. 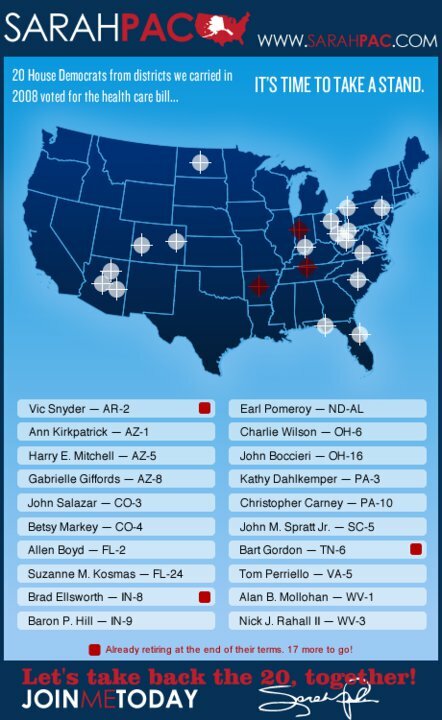 The deadly rampage took the lives of six innocent victims, including a 9-year-old girl, and critically wounded Rep. Gabrielle Giffords and thirteen others. Scarborough, who especially criticized Fox's Glenn Beck for his relentless incendiary attacks on Obama, said "conservatives do themselves a disservice if they don't look in the mirror" regarding the increasing vitriol coming from the right." He added that "conservatives need to call out, yes, Sarah Palin for putting gun sights" on target lists on her website and that they "need to call out Michelle Bachmann for telling Minnesotans to be armed and dangerous." When he was asked why he's not condemning liberals for allegedly making the same type of inflammatory statements, Scarborough said "I'm conservative...I'm a Republican...I am responsible for holding my side accountable." Unlike Sean Hannity, Mark Levin and other right-wing rabble-rousers in the media whose ratings seem inextricably tied to the level of toxic rhetoric they spew, and who've spent the last 24 hours aggressively defending Palin, Bachmann, Beck etc, Scarborough understands the impact of this relentless hate-speak and the need for it to stop. It's nice to have an adult in the room. Welcome to 2011. A new year, and a new Republican led United States House of Representatives. And what it all means is that one body of Congress will now attempt to overturn every single measure enacted during the last two years by President Obama and Democrats. Health-care reform is the first pig on the legislative rotisserie for the new House Speaker John Boehner and his merry band of rapacious repealers. Republicans have been on the warpath over Obama's historic health care bill, and campaigned in the recent midterm elections on both repealing and replacing it. They're out there spinning their disingenuous rhetoric, trying to convince Americans that guaranteed insurance, no caps, no exclusions for pre-existing conditions, donut-hole coverage for seniors, extended care for children to age 26 are bad for them. And they're promising to replace it with something "better". But the truth is, Republicans have no ideas. No plan. No intention to replace anything. Their goals are simple: strip away as much social services and entitlement programs for the poor and middle class as possible while putting that savings, through tax cuts, into the pockets of the rich and corporate America. It's the same old trickle-down, supply-side voodoo economics that didn't work for Ronald Reagan and failed miserably under George W. Bush. It's based on the myth that if you give all the money to the "producers" (business owners, corporations, the wealthy) and deregulate them then, unrestrained and richer, they will create jobs and growth for the masses. "You allow the private sector to have some Oxygen," as Rep. Dan Lungren (R-CA) pleaded on MSNBCs Hardball Monday. But some perspective is necessary. Bush was president for eight years and Republicans controlled both houses of Congress for twelve years, from 1994-2006. During this period the GOP put forth not one single health care measure. There is no reason to believe this Republican led House will be any different. "Repeal and replace" is the biggest scam to hit Washington in years. And what's even more of a scam is how Republicans are sucking up to their newly-Tea-Party-infused irrational, radical right-wing base despite knowing there's no way on this planet they can ever repeal health care reform. No matter what the House crazies do, it'll never get past the Senate or an Obama veto.